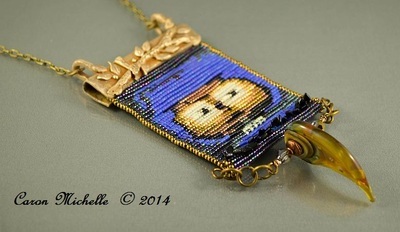 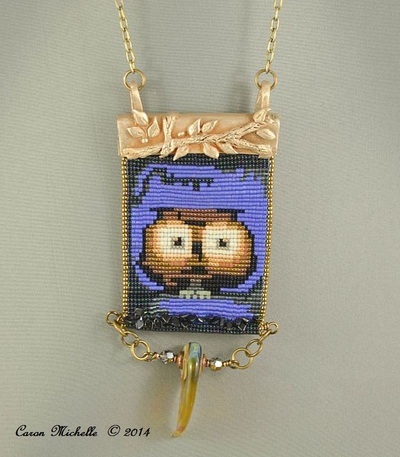 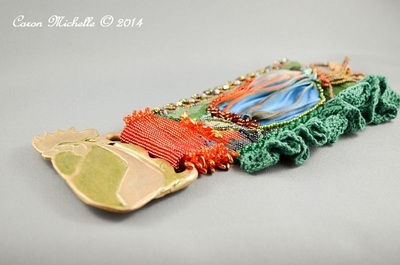 Bronze Goldie Clay Bail - Loomed Cuff Pendant - Lamp work Claw Bead and wire work. 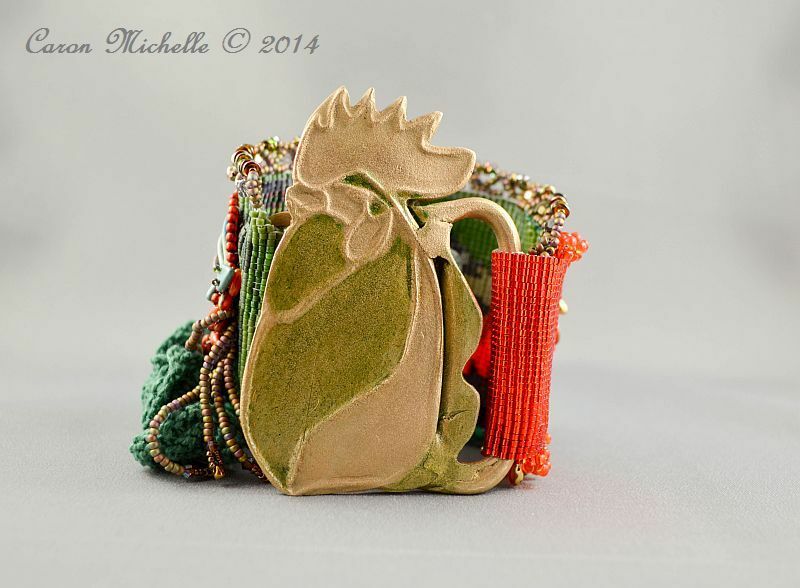 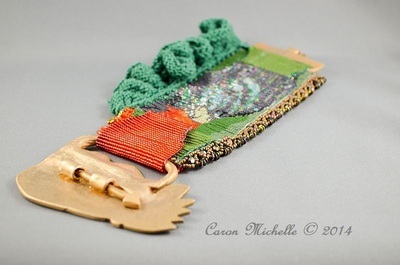 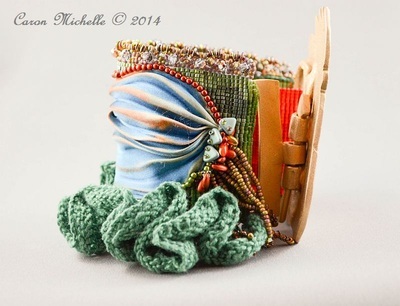 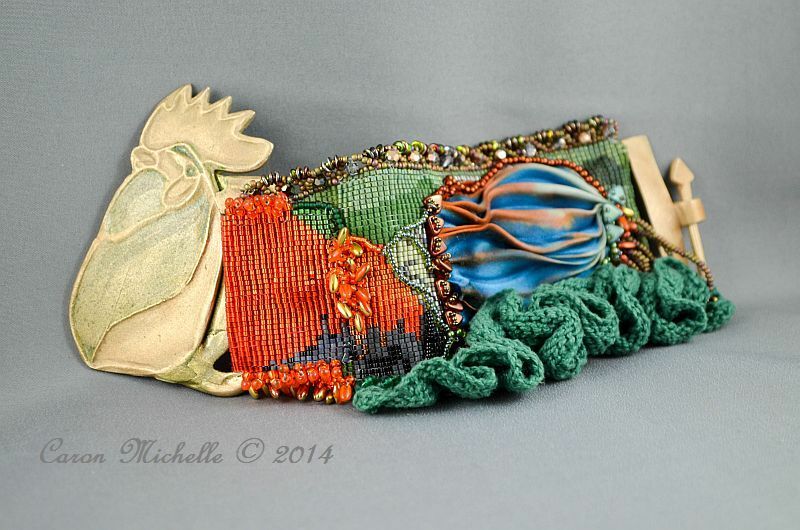 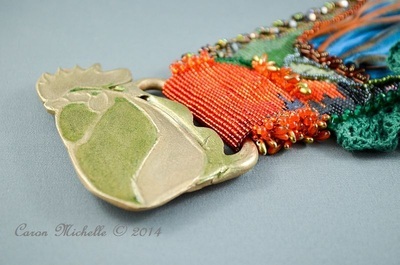 Bronze Goldie Clay Clasp - Loomed cuff body incorporating bead embroidery and knitted edge. 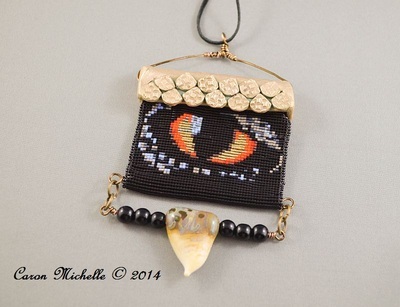 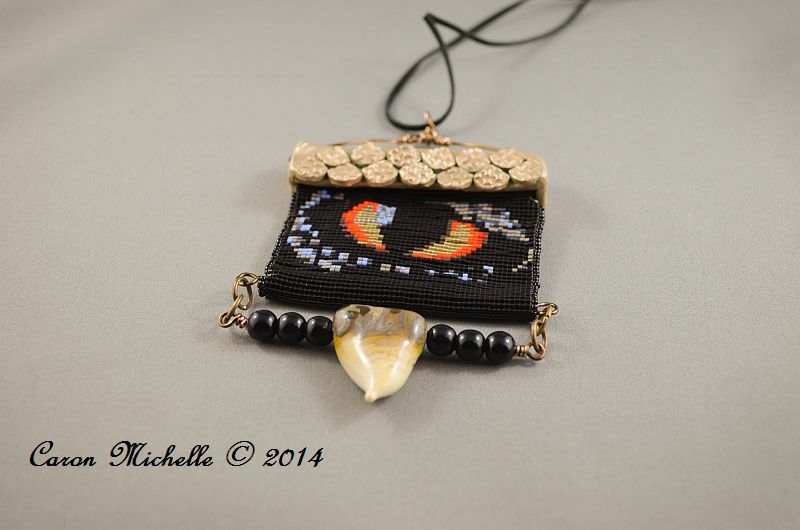 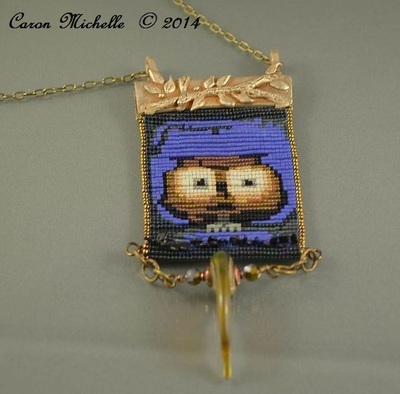 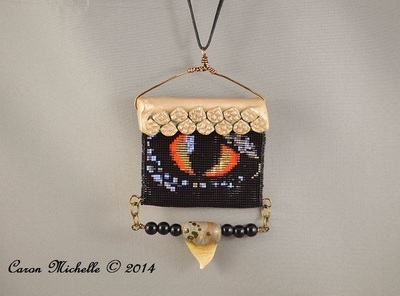 Loomed pendant designed for a bead challenge - the dragons eye pendant is made from Goldie Bronze Metal Clay and finished in onyx beads and lamp work "Dragons Tooth" bead from Bead Up A Storm.